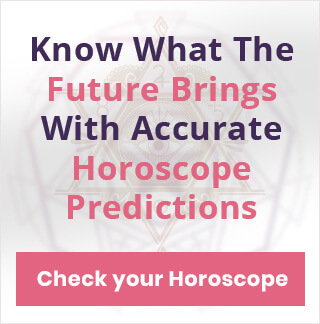 Zodiac Sign Compatibility is one of the most popular ways to know whether a relationship has the potential to become a long-term commitment. 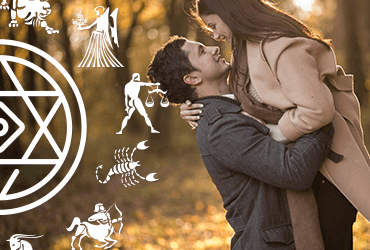 So, is your Zodiac sign compatible with your partner’s? Let’s find out. The passion, energy and enthusiasm of Aries is perfectly balanced by the calmness, patience and composed behavior of a Libra. Libra’s look before you leap attitude soothes the impulsive behavior of an Aries. Moreover, Aries’ energy keeps their Libra partner all pepped up. Together, they can build a life with no place for dull moments. Similar goals, similar aspirations and similar desires from life make Taurus-Virgo a perfect pair. Virgo prize stability and security which is again matched with Taurus ultimate goals. Taurus will share an honest and open relationship with their Virgo partner which is a key ingredient for the happiness of any romantic relationship. You immensely value your creative endeavors and friendships and keep them above everyone and everything. And, the one sign which understands this is Aquarius. You both share the same values when it comes to independence and living life. You both are two intellectual individuals who have an envious zeal for life which is the essence of your relationship. No one can understand a Cancer’s emotions and sensitivity better than a Scorpio. Scorpio is also a deeply emotional being although they never show it. They can very well understand their Cancer partner’s mood swings and emotional behavior. This couple is perfectly in sync with each other’s wants and needs. Leo’s energy and passion matches that of Aries which makes them a pair full of enthusiasm and excitement for life. You both crave an environment which is consistently exciting and a relationship with Aries will provide you just that. There could be some ego tussles but a little support from each side is the key to a smooth sail. The vision of a Virgo is in tandem with the vision of a Capricorn. Both are steadfast and dedicated. The ideology of a Capricorn matches yours and they will be your ideal partner cheering you through all your success and accomplishments. 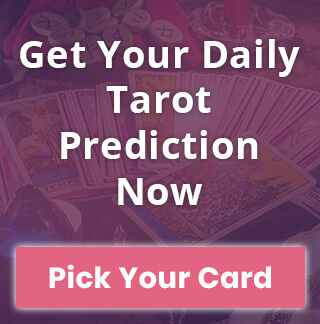 They will help you achieve your goals and bring order in your life, which you savor the most. Libra loves to socialize and meet new people and who better than Gemini can be their partner in crime. They both share a love for new experience. With Gemini’s wit and Libra’s charm, they are loved by everyone around and are the ultimate social couple. No wonder, they are always surrounded by people and the best part is none of them mind. Cancer is your match Scorpio. They can reach to the deepest level of your emotions and understand your aspirations and desires. Sometimes, things can get a little overwhelming for you but with Cancer’s devoted and loving relationship, you can come out of any difficulty much stronger. It is a match that can boast of some deep understanding of each other. Sagittarius love adventure and travel and their best mate is Aries who have the same passion and hunger for new things. Aries are the only one who can match up to the pace of a Saggi when they are hopping from one new experience to another. Aries will bring in the positivity and a happy vibe which a Sagittarius looks for in a partner and they will be surprisingly supportive to all your random decisions and instant plans. Capricorn and Taurus are perfect example of a match made in heaven. They both are soulmates in its truest sense. You both crave for an extravagant life that you build from your dedication, hard work and practicality. Capricorn motivates Taurus to set higher standards and the Taurus teaches Capricorn how to loosen up. A perfect relationship indeed! Aquarius, you are always at the center of attention, without you even trying, owing to your quirky and crazy ways. Leo loves to be in the spotlight. So, directly or indirectly, you are on the same page. However, what makes this relationship a success is your hunger for adventure and Leo’s undying support in that. Your passion matches with that of Leo and none of you care much about the societal norms. Pisces are exceptionally sensitive and emotional people. Their emotional level and intuitive capacities match well with Cancer. Cancer are just like you - considerate towards others, thoughtful, loving and good listeners. A relationship between a Pisces and Cancer is like a fairy tale romance as they both prize their love and home above anything else.